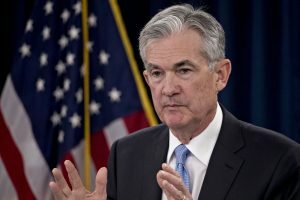 “This was a bit of a surprise, as the Fed took out its entire rate-hikes plans for this year and ended the balance sheet roll-off a bit earlier than expected,” said Ben Emons, managing director of global macro strategy at Medley Global Advisors in New York. A complete turnaround for Fed policy. Investors have been fooled into believing QE was designed to help the economy. A growing number of financial market observers view the Fed’s recent actions with alarm. They have convinced themselves that a sharp slowdown in economic growth must be imminent and believe the Fed must be nervous. But is the Fed really alarmed over the prospects of a recession? While it just dropped its 2019 GDP estimate from 2.3% to 2.1%, that is not a huge swing and it’s within their margin of error. But bond investors think the Fed knows something it hasn’t told us. As a result, the 10-year UST yield dropped this afternoon to its lowest in 15 months. So much for spiking bond yields. Perhaps the owners of the central banks have another agenda that it cannot make public. I give the Fed and other central banks credit. They have convinced us that QE was designed to help the economy. Who’s stupid now? The Fed is not reinstituting aspects of its QE programs over recession concerns. The Fed understands that the global central banks must begin further rounds of monetary stimulus, so that the monetary system can be maintained for the indefinite future. The global central banks need to absorb all the extra sovereign debt supply, since the global investor can no longer digest it all. Take a look at the growing social spending around the globe. Today, I came across a Bloomberg article titled, Trudeau Targets Home-Buying Millennials With Equity Plan, and it explains that Canada’s housing agency will spend up to $1 billion USD over three years to take equity positions in homes bought by first-time buyers. It’s part of a plan by Justin Trudeau’s government to make housing more affordable for the youngest voters. I am not telling the reader that this is a stupid program. 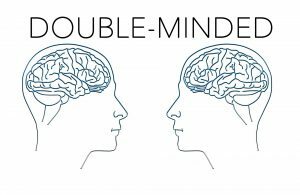 There are no fundamental attribution errors on this blog. But, after reading this Bloomberg article, if I were a Canadian investor, I would be planning for even higher home prices. Social spending always results in higher prices for everyone. The worst part of this; the central banks are more than happy to print the money to fund these programs. Socialism is alive and well, and it’s what the people want. The point of this exercise is that the owners of the central banks cannot divulge their real intentions. Thus, the central banks have to be disingenuous in their intentions and claim they are using QE to help support the economic growth. It is clear that the policies underpinning QE are poorly designed to enhance economic growth, but most in the MSM and alt-financial media still are of the belief that the Fed, ECB, and BOJ employ QE to help stimulate economic activity. All the while, social spending continues to spiral upward and the agenda for a socialist new world order accelerates. The NWO will be financed by QE and the citizens will rejoice. China’s monetary policies are even more obscene and obscure. My real concern over the next several years is this; as the owners of the central banks quickly guide the nation-states into the desired outcome, the monetary authorities and governments will begin to care even less about how their monetary policies impact the average person. I can see how asset prices move higher regardless of how the economy performs. The average debt-slave will be left in the dust.